The game will be a tough matchup, and the opposing teams albums could not be more different at first glance. To Pimp A Butterfly is complex, both instrumentally and lyrically, flush with poetic genius, jazzy improvisation, sampling, and sharp social commentary. Meanwhile, Sufjan’s Carrie & Lowell is astoundingly spare and melodic instrumentally, while the lyrics are a crushingly beautiful digestion of memory, myth, and loss in the wake of his mother’s recent passing. On both albums, the two artists deal with themes of solitude and alienation in opposite yet equally entrancing ways; Kendrick with unflagging aggression and energy and Sufjan in his signature mournful and ethereal falsetto. 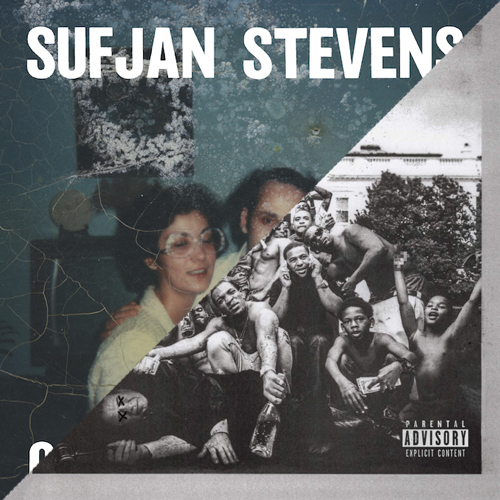 Interestingly enough, Kendrick samples a song by none other than Sufjan himself on To Pimp a Butterfly’s tenth track, “Hood Politics“– a testament to both artists’ talent, range of tastes, and influence. Though numerical assessments of music rarely suffice, both albums received a grade of 9.3 on Pitchfork (tied for highest of 2015 yet) and are coming from two artists undoubtedly at the top of their game. That being said, it’s up to YOU, the DJs of WRMC decide who will ball harder than the rest. Check your emails now and VOTE in the FINAL ROUND before 10 PM tonight to decide who will be the ultimate champ. Then, join us at Meeker House tonight following the BLACKBIRD BLACKBIRD concert at The Bunker for a live announcement of the results and some post-game fun….odds are you’ll probably hear a Kendrick Lamar song or two. UPDATE // April 3, 2015, 10:00 PM: Kendrick Lamar’s To Pimp A Butterfly is the official 2015 WRMC March Madness Champion.